After talking to a lot of our users, we’ve revamped Unmetric Discover to further kickstart your creativity. Discover helps you find anything a brand has ever said about any topic by searching through 500,000,000+ items of branded content published by over 100,000 major brands over the last 5 years. Filter your results to show content from a specific profile or even a Group you’re monitoring on Unmetric Analyze. And yes, you can still filter these results by industry, geography, content type and time period. 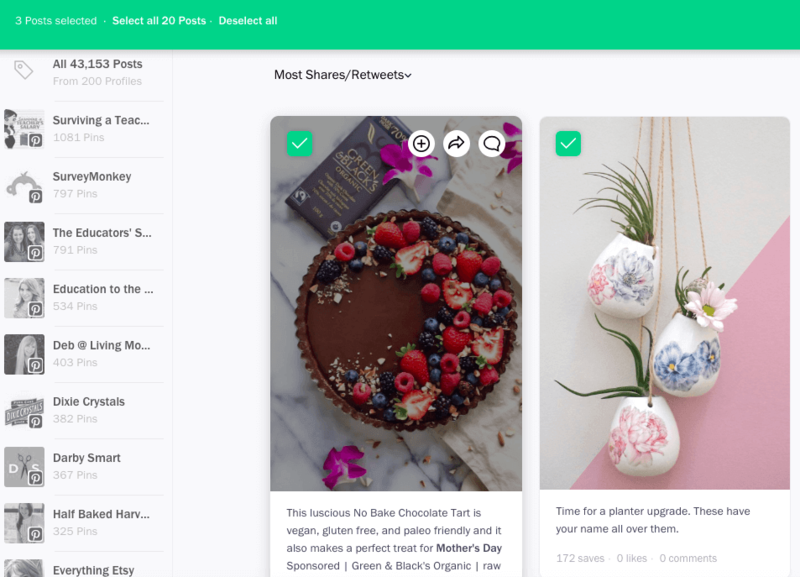 Filter your results to either show content from either Facebook, Twitter, Instagram or Pinterest or from all networks. 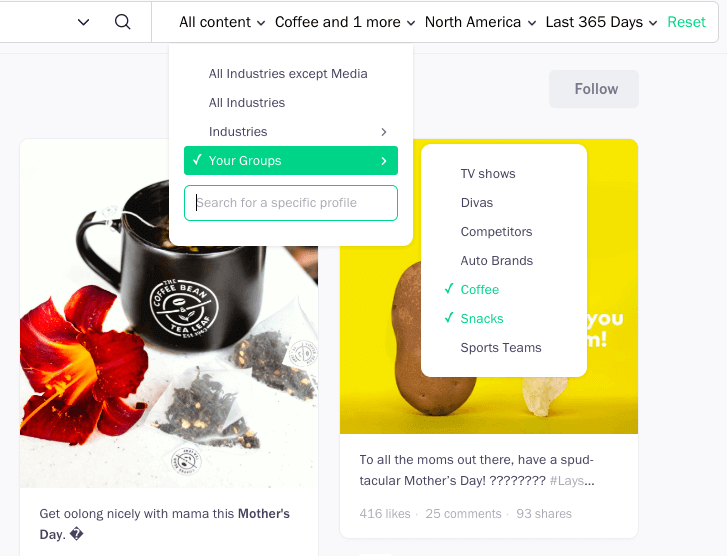 Provided you haven’t filtered your results by a specific group or profile, your results will also feature a list of brands on the side. 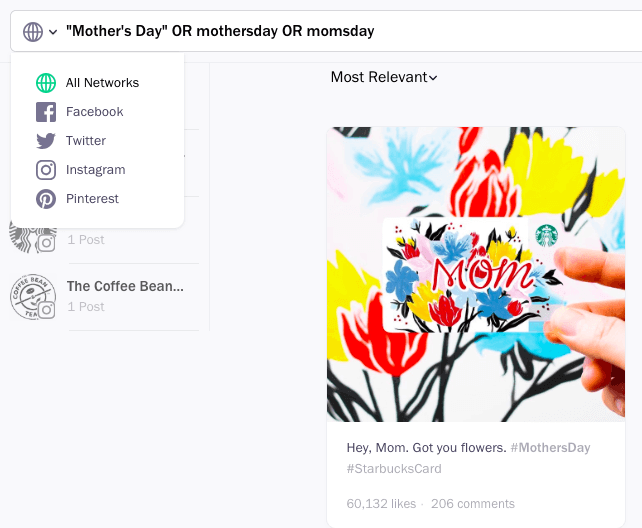 They indicate which brands your results are from and you can filter your results to only show content from these engaging brands. Found a brand you’d like to further analyze? Add the brand directly to a Group you’ve created on Unmetric Analyze here. 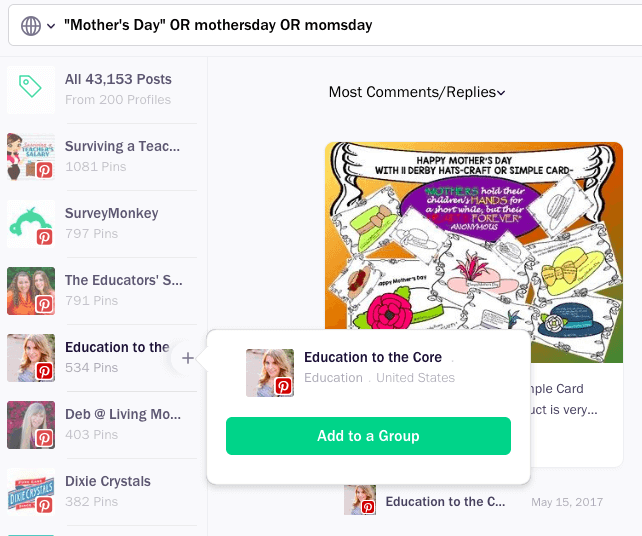 Instead of adding content to a group one by one, you can now add multiple pieces of content to a board. Would you like to save all the content? There’s a ‘select all’ option.